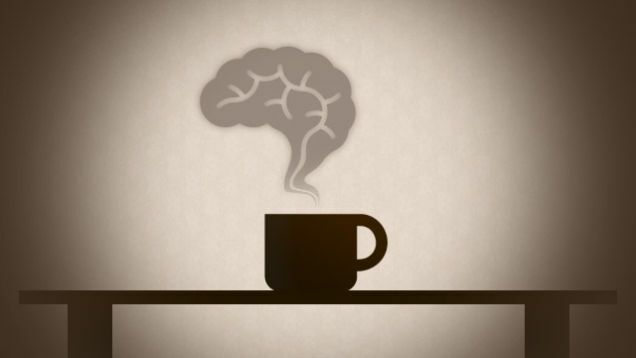 Coffee and Mental Health: yay or nay? How do we feel about coffee? I’ve often been told (or read) that coffee is no good for you if you suffer from a panic disorder – more specific to me, PTSD. But I really don’t know where I stand with this – there are days (weeks) where I point blank have to avoid coffee, but there are also days where I can’t function unless I have a coffee in the morning! I’m not much of a caffeine fan though when it comes to other drinks such as tea, energy drinks etc. So I don’t know if it’s caffeine or just the taste of coffee… and yes I do know that decaff exists haha. I just wondered how you felt about coffee when it comes to anxiety, PTSD , panic disorder or anything else! coffee is my mental health lol. Everyone is different and everyone’s mental health issues are different. This is why I always say your path to recovery is unique. What might apply to you, might not apply to another. So in conclusion, I’m saying only you will know if coffee works for you, and what your limits are. I fully agree with you! It’s a strange one for me though as sometimes it really does affect me, then other times I’m perfectly fine! Yes, that’s a good point. Mental health issues can fluctuate as can the effect of external factors. Sometimes I’m extremely sensitive to sounds, and other times not quite as much. Same here! I like blogging about it all as well! It’s a great release! I think I’m similar, in terms of not drinking coffee past noon! (Though I can’t resist a good cuppa…) When I’m really stressed I seem to drink a lot more, and it certainly doesn’t solve the problem haha! This is a reasonable response to my own blog post right? For me, I’ve found that I can’t have coffee at all, otherwise my mood plummets and I’m a blubbering mess by lunch time. I still have days where I’m a blubbering mess no matter what, but coffee makes it so much worse for me. Decaf all the way! I shifted to decaf after being a long time coffee drinker. I do believe this has helped my recovery from PSTD. I am calmer, have more energy, feel better over all and that has empowered healing in many areas for me. I love my coffee, PTSD or not. I love the taste of it and I love that it at least momentarily learn the all too familiar fig in my brain. I love a hot cup in the winter and iced in the summer and always with cream and sugar and a dark roast. Hiya, thanks for your comment! 🙂 I’m the same… and I’m loving the iced coffees at the moment! 1) They make me feel fancy and 2) They make me feel good! I love my coffee, PTSD or not. I love the taste of it and I love that it at least momentarily learn the all too familiar fog in my brain. I love a hot cup in the winter and iced in the summer and always with cream and sugar and a dark roast.